In college football, the game is won and lost on the field of battle. However, the real war waged between the country’s top teams takes place somewhere else entirely. This little spot is called the “recruiting trail.” And believe us, it is brutal, cutthroat, crazily genius, and certainly not for the faint of heart. Only the strong survive there. When you really think about it, the fate of a program boils down to whether or not it can bring in the best possible talent. If it can’t, well, best of luck trying to compete against those who can. As we look ahead toward next season, the college football landscape should be plenty different. Not only do we have a new national champion, but with this year’s National Signing Day a thing of the past, we’ll have a new crop of talented players ready to prove they belong among the country’s finest. Of course, as always, some programs managed to put together better recruiting classes than others. As far as 2016 is concerned, these are the five best college football recruiting classes. The Clemson Tigers may have fallen short of their ultimate goal last season, losing to the Alabama Crimson Tide 45-40 in the College Football Playoff National Championship Game, but we have every reason to believe Dabo Swinney’s group will be right back in the thick of things come 2016. Not only do the Tigers still have Heisman candidate Deshaun Watson under center, they also have the No. 5 recruiting class in the country, courtesy of three five-star players, 10 four-star prospects, and six three-star recruits. Don’t be shocked if Death Valley plays host to another pizza party next season. 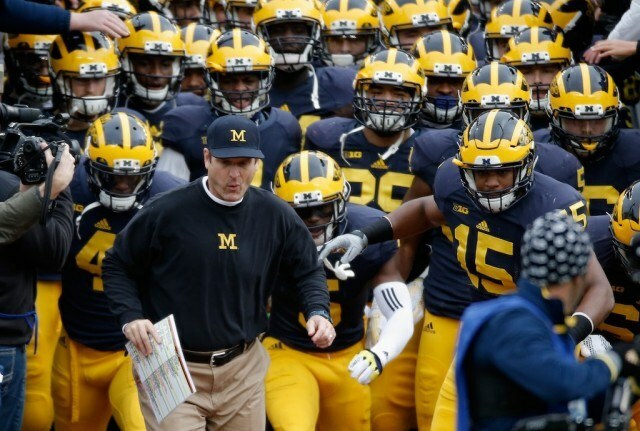 Whether or not you believe in Jim Harbaugh’s tactics it makes no difference. The fact is, they helped Michigan win National Signing Day solidifying their spot on the list of best college football recruiting classes. End of story. Behind an invite-only event, perfect dubbed the “Signing of the Stars,” the Wolverines turned in the nation’s fourth-best recruiting class; one featuring 12 three-star players, 15 four-star recruits, and five-star defensive tackle Rashan Gary. If you thought Harbaugh took Michigan to new heights in his first season in Ann Arbor, just wait for the encore. We have a feeling it’s going to be something special. The 2015 season did not work out quite as the Ohio State Buckeyes planned. Instead of heading back to the College Football Playoff in the hopes of defending their title, Urban Meyer and company were forced to take out their frustration on an inferior Notre Dame squad in the Fiesta Bowl. However, fear not Buckeyes fans, you may not have to wait long to return to the top of the college football mountain. Thanks to a haul that featured two five-star talents, 15 four-star prospects, and seven three-star players, Ohio State managed to secure 2016’s No. 3-ranked recruiting class. Sorry folks, the Buckeyes aren’t going anywhere. 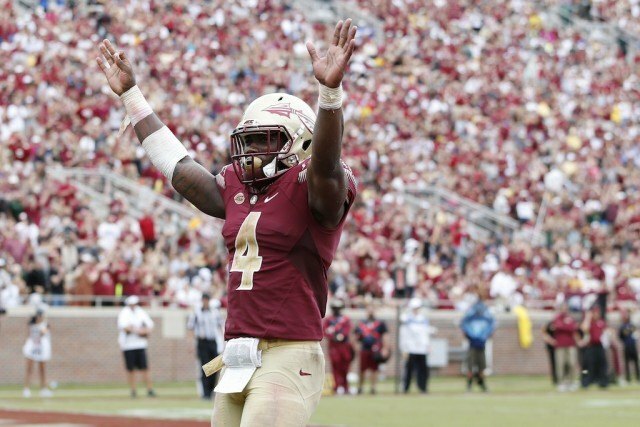 Despite finishing the 2015 season with 38-24 loss to the Houston Cougars in the Peach Bowl, Jimbo Fisher and the rest of the Florida Seminoles should find themselves in the perfect position to bounce back from their recent three-loss campaign. After all, when a recruiting class featuring one five-star player, a whopping 18 four-star studs, and four three-star prospects decides to take their talents to Tallahassee, you should have ever reason to “tomahawk chop” with excitement. 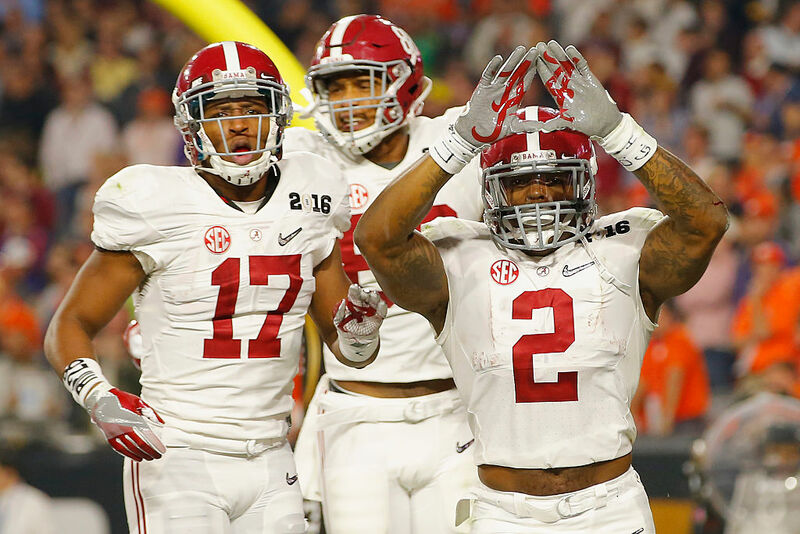 It wasn’t enough for Nick Saban and the Alabama Crimson Tide to win their fourth national title in the past seven years, they had to put the rest of the country on notice with one of the most ridiculously talented recruiting classes in recent memory. Saban snagged himself, nine three-star players, 10 four-star prospects, and and an unfathomable five five-star standouts. As Alabama heads into the 2016 season with the country’s No. 1 recruiting class and an eye toward repeating as national champions, we have just two words: Roll Tide. Statistics courtesy of SR/College Football. Recruiting information courtesy of Rivals.com.